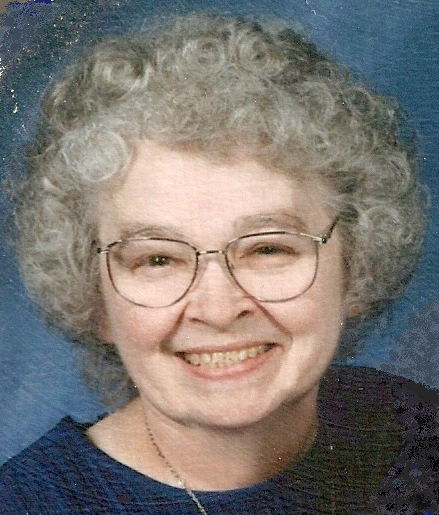 Joan Kathryn Hartford, 85, joined her Lord and Savior Jesus Christ on September 22, 2018, at Valley Manor in Excelsior Springs, MO. Visitation will begin at 1:00 pm, followed by a service celebrating Joan's life at 2:00 pm, on Thursday, September 27, at Park Lawn Northland Chapel, I-35 at State Route 291, Liberty, MO. Graveside service will be held at 3:00 pm Friday, September 28, at Olympus North Cemetery in Grove, OK.
Joan was born November 9, 1932, in Independence, MO, the daughter of Joseph F. and Alice (Carl) Liles. Along with her parents, Joan was preceded in death by her husband, Billy Raymond Hartford; son, Daniel Hartford and brother, Dean Liles. Survivors include her son, Donald Hartford (Sherrie); daughters, Mary Hicks, Lois Swartzlander (Curtis), Patricia Sprague (Bruce) and Wanda Smith (Winfred); sisters, June Baldwin, Peggy Weeks and Gloria Hoggatt (Don); 12 grandchildren, 14 great grandchildren; and two great-great grandchildren. Joan served alongside her husband Bill, through the Pentecostal Church of God, in the Native American Indian Mission fields of Arizona, Montana, Nevada, New Mexico and Oklahoma for 11 years. They retired to Grove, Oklahoma. Following Bill's death, Joan moved back to Missouri to be near family. It was a honor working with this sweet lady as her aide. She will truly be missed. I will be looking forward in seeing once again someday. May God be with the family during this time. On behalf of the Carlos Brown family we extend our condolences to the family. The times of memory from Edwardsville, Ks have always been near to our heart. Memories cherished are Sunday school, times spent with the family in their home and many times on church activities and trips. Thoughts and prayers with the family as we Celebrate Sis. Hartford Home.